The only person who can ensure your safety is you. Every house is new and unknown. It might look safe and sound at first glance, but you never know what you’ll find in and under any strange house. It’s easy to become comfortable with your work and expect certain things from most homes. But one day you might open a cabinet and find a pair of eyes looking back at you. It’s how you prepare before it happens that determines how you’ll fare. All it takes is a quick call or an email to let someone know where you are an when you’ll be finished. Working alone sometimes comes with the territory. But if you were to become injured, how long would it take for anyone to notice that you’re gone? How long after would it be until someone found you? Peter Hawley, licensed general home inspector, writes for Working RE magazine that this one step can literally save your life. Always let someone know where you’re working and how long you plan to be there. And keep your cell phone on and charged at all times. One phone call could change a situation from one where you’re lying injured for hours or longer, and one where you get help that you need. Some tools and equipment cost a lot more than others. But oftentimes, they’re worth it. For example, you can pick up a screwdriver for a few dollars. Or you can buy one with an insulated handle for quite a bit more. An insulated screwdriver can save your life, says Hawley. If you touch a surface that’s live, and you never know when that might happen in a strange house, the few extra dollars you spent will be well worth it. The same applies to all of your tools. You probably check the functionality of everything you buy before you take it to the checkout register. But how often do you check your equipment for safety otherwise? Safety should always be at the top of your list, and not just once a week or once a month. In some industries, workers never use certain equipment without checking it. For example, a cell tower rigger won’t depend on his harness until he’s inspected it before making that first climb of the day. The integrity of your ladder and your electrical testers can just as easily save your life. You know that your panel at home is safe, but what about those in other homes? 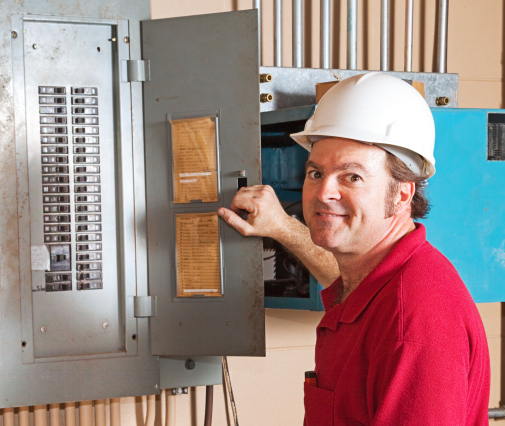 Speaking of electrical, Hawley also reminds that home owners tend to have a propensity for doing their own work, whether or not they happen to be qualified. Remember that when you go into an unknown home, you never know what you’ll encounter. You can’t count on any component to be safe until after you’ve checked it. You’ll check inside the breaker panel, but when was the last time you checked the door of the panel itself to see whether it was hot? A tester and insulated gloves can save you from a shocking experience. Finally, you should always wear clothing that’s appropriate for the job and protective gear. A hardhat might seem like overkill since you’re not on a job site. But nails protrude from attic ceilings, and you never know what you’ll encounter in a crawlspace. Gloves can guard against cuts and scratches. They can also help you fend of spiders and other life forms that you may encounter in and under a house. Every Standards of Practice that you read will tell you that inspectors are never expected to put themselves in danger. But more than that, it’s also up to the inspector to decide what is and isn’t dangerous. Safety should always be the top priority. Higher than the job, higher than the pay that comes from it. Because at the end of the workday, if you’re not safe, your livelihood is at risk. But if you are, you can continue to provide a service to the public and yourself. If you’re still just thinking about becoming a home inspector, there’s a lot left to learn. But if you get a free demo, you’ll see firsthand just how comprehensive the classes at ICA school really are.